Though originally a heel in the Michigan-Ohio area, Firpo became a popular baby after being fireballed by The Sheik. 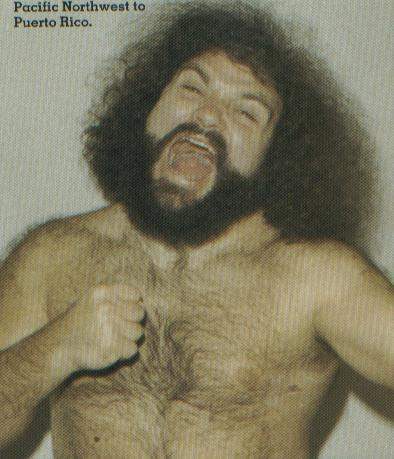 October 17, 1986: Pampero Firpo wrestled his last match..
Pampero Firpo wrestled on 5 different continents; 21 foreign countries; all 50 states; and had 6,881 bouts..
Juan Kachmanian retired from wrestling and worked for the post office until retiring from that profession as well..
October 2003: Juan Kachmanian works at one of the US Post Office branches in San Jose. He doesn’t plan to retire until he turns 75..